Ultimate 50 amp Pull-Thru sites have electric (15, 30 and 50 amp), water and sewer hookups. They are extra large pull-thru sites in a preferred area of the park. 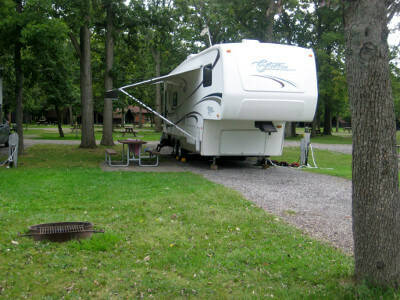 They can accommodate RVs of any size. These are the finest sites in the park. Each site is based on 2 adults. Extra adults are $6 nightly and children (ages 3-17) are $3 per night. 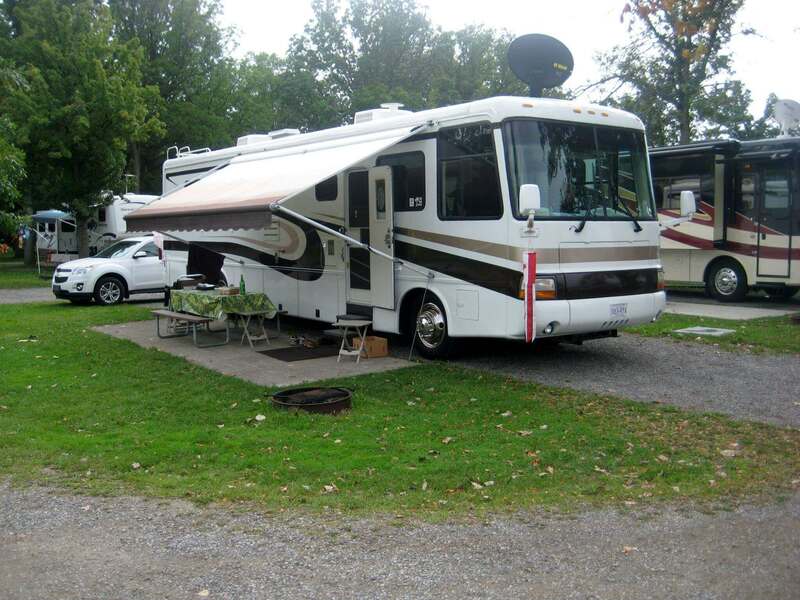 We allow one RV and one car per site. 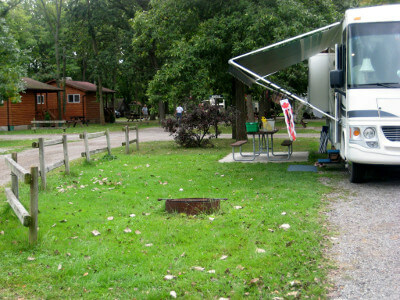 There are no tents allowed on Ultimate sites - a small screen tent is permitted! 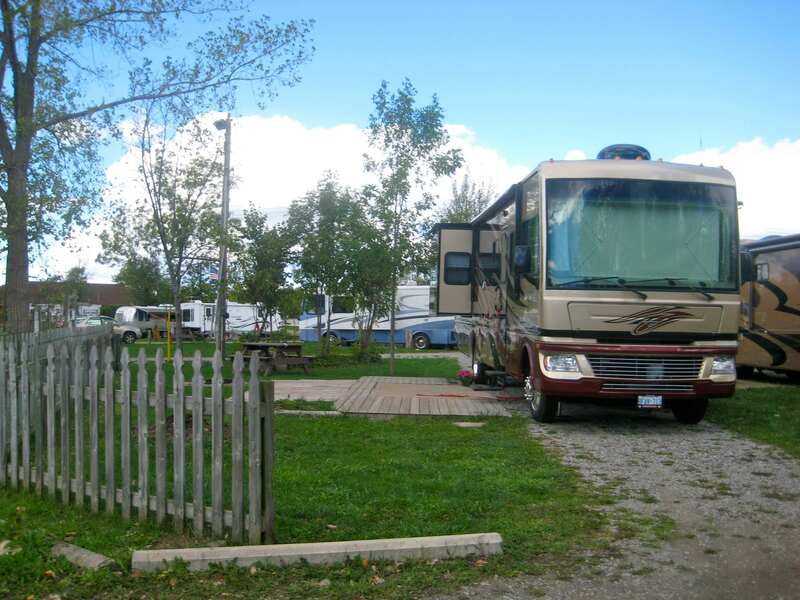 You may bring a pet if you are staying with an air conditioned RV (2 dog maximum). There is a picnic table and fire ring on each site. One night’s deposit is required at the time of reservations. Two night minimum stay on all in-season and holiday weekends *Sunday of holiday weekends will be the same price as Friday/Saturday.